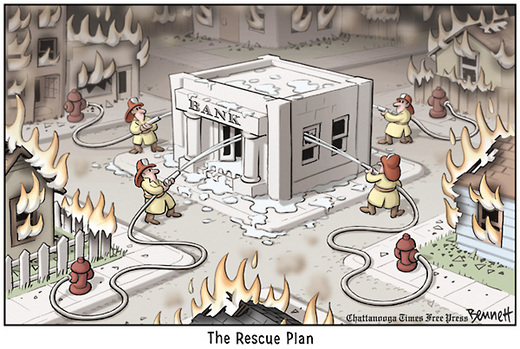 The Financial Rescue Plan – Summed up nicely. Puppy vs. Lion Cub – My money's on the lion cub when feeding time comes.